File > New > NeoMAD Project. Click then on the Finish button. 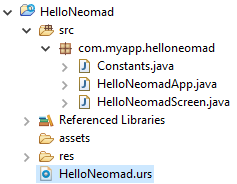 A NeoMAD project is similar to any Java project, with Java source files organized in packages. mainclassname: name of the application’s entry point. All the tags information is required except the description one. The onStart method is called when the application starts. 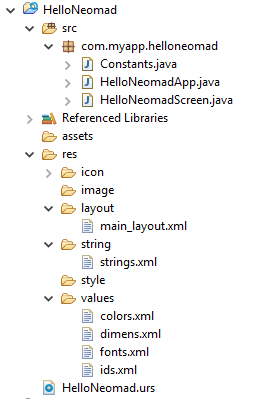 In the example above, a screen is shown named HelloNeomadScreen.